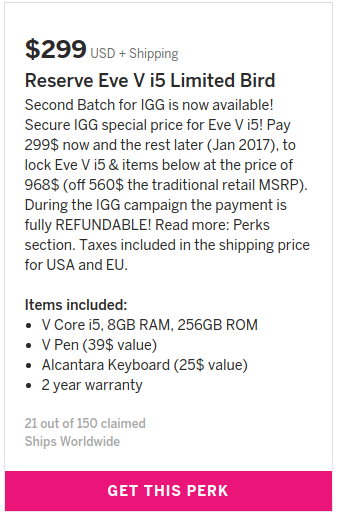 Eve V 2 in 1 sells out in under 3 hrs! I have been glued to a community forum for the past few days, and… I think I may have a problem. 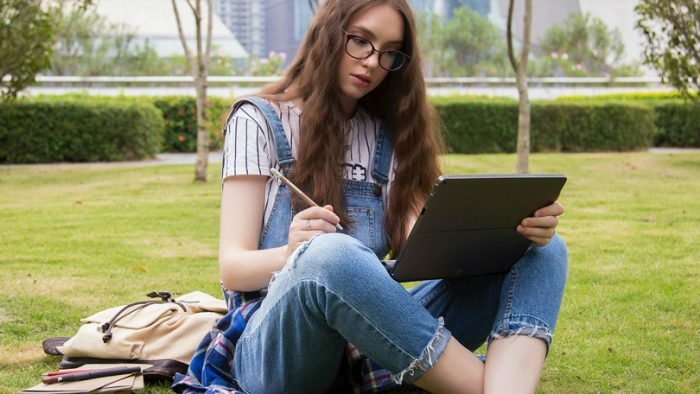 However, the reason for this is due to the fact that the Eve V 2 in 1 (Surface competitor) was launching. Well, it launched on Monday at 2pm and then by 5pm it was done for the first shipment of units. During that time, the team absolutely smashed their target of $75k and have now gone on to be near $900k. So why has this been so successful, you may be what you are asking? Well, there are many reasons for this success but I want to pin it down to these three. 1. 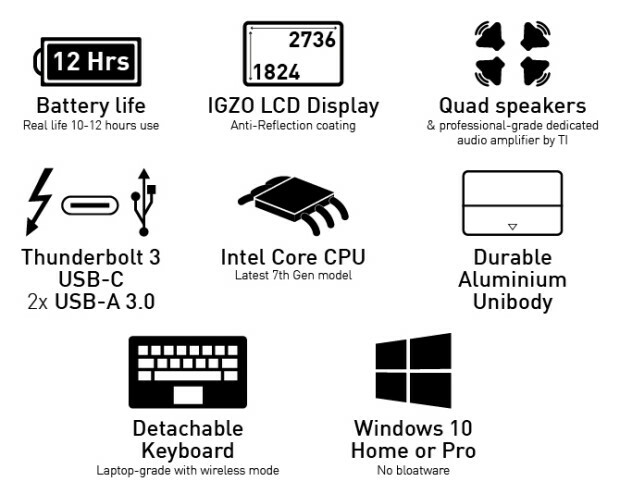 The entire development of this computer has been put through a community of very passionate tech users and absolutely everything has been deliberated about in the finest possible detail. 3. 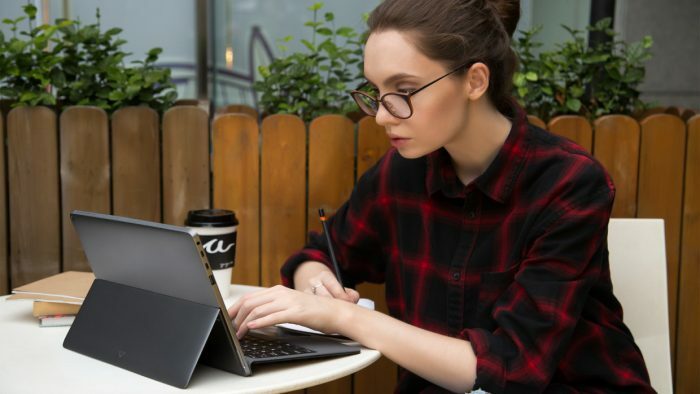 The specs and connectivity for this computer make it stand out in what is a very crowded marketplace of ‘Surface wannabees’. This is the first convertible to have the newest Kaby Lake chipsets. I have covered the details of the device in depth already in previous articles, so if you are interested in this product I would suggest having a read back. Another option is that you could also have a look on the Eve community website for more of an insight into the company. Rest assured that even though the first allocation if units have now been sold, the guys at Eve Tech are not resting on their laurels. If you are wanting to get one of these unique machines then you can pre-order one for a small reservation and then pay the rest off before the end of the year. This can be done in the Indiegogo page here. These second batch of units will be delivered in April, so it is a fair bit of time to wait. Yet from what I have seen on paper it will be worth it. This perk enables you to lock in the Indiegogo discounted price for a partial payment of the end price. When you pay the amount in question, whether it was 199 for m3 model, 299 for the i5 model or 399 for the i7 model, you’ll get a reservation for the configuration chosen for the next production batch after the first 500 units. Your Eve V will be produced & delivered in the next batch after the Hyper Early Bird (this deserves the capitalisation) backers have received their order. Shipping of the reserved units will take place during April (an accurate estimate). The reservation fee you’ve paid will be used to purchase components related to your order in January 2017. As such, it will be fully refundable until December 21st 2016 (before this Indiegogo campaign ends). After December 21st, the 2016 down payment is not refundable. Directly after the Indiegogo campaign, we proceed to order the components for your V, you’ll have to pay the remaining sum on your order to qualify for the production of your V. This will take place in January 2017. What is the next step on from this for Eve Tech? Well, no-one knows for certain, but they have definitely got plans to continue their crowdsourcing approach in future products. That could be in the form of more computers, accessories, or even a phone! Personally, I can’t wait to get my hands on with this machine but will have to for a bit longer until that day comes. As soon as it does I will share the experience with you, our loyal Coolsmartphone reader!